This health insurance review is for the SafeHealth Health Insurance Company. SafeHealth offers various health insurance products to business and individuals. 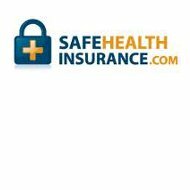 SafeHealth Health Insurance Company offers easy ways to apply for and obtain health insurance no matter your situations. Are you looking for health insurance for you and your family? Use our simple search tool below and enter your zip code to find insurance rates near you! There is no physical address for SafeHealth Health Insurance Company, as the website only lists an email address as a form of contact. In addition, there is no phone number listed as well. The individual health insurance coverage is designed for individuals who don’t have insurance. The prices of health insurance offered from SafeHealth Health Insurance Company can start for as low as $50 per month to get coverage. It can be difficult to obtain insurance for their families, as the costs can be high. However, SafeHealth Health Insurance offers access to many different insurance plans for families. The goals of the SafeHealth Health Insurance Company include giving individuals and families various choices and dedicated customer service support. In addition, SafeHealth works with health insurance companies that work efficiently with physicians and hospitals. This is accomplished through educating patients and working with companies that provide prompt claims payments. Finally, the health insurance companies that SafeHealth refers patients to also work on providing the businesses and employers access to different cost-effective programs and ways to educate and develop their employees. There is no information available on the SafeHealth Health Insurance Company website regarding careers or job opportunities. The reason for this is most likely that SafeHealth Health Insurance does not have any positions currently available or that SafeHealth does not post any of their positions online. The simple search tool below can help you find health insurance in your area. Simply enter your zip code and find health insurance companies near you!